Many moons ago, I picked up the Dragon re-pop of the Alan Bishop. Like most of the Alan kits, it was pretty elementary, and I ended up picking up the Tamiya 25 pdr kit, Fruil tracks, Eduard PE and MR resin wheels in the hopes of bringing it up to speed. In the end, this project was forgotten in the basement. When Miniart came out with their new Valentine kit, I decided to dust off this old project, but to use the much superior Miniart hull. 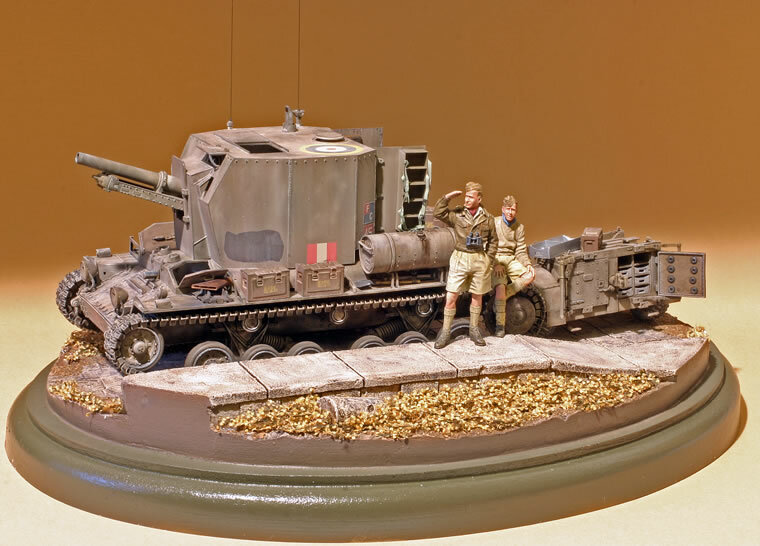 The new Miniart Valentine is exquisite, and very similar to current Dragon kits in terms of complexity and detail. It is a modest challenge to assemble, as there are lots of subcomponents and some of the hull pieces take some careful alignment. On the other hand, the detail is state-of-the art. My expectation that I could use the old Dragon/Alan turret assembly proved wrong, as the Alan hull is longer, and the turret correspondingly doesn’t fit the Miniart hull. 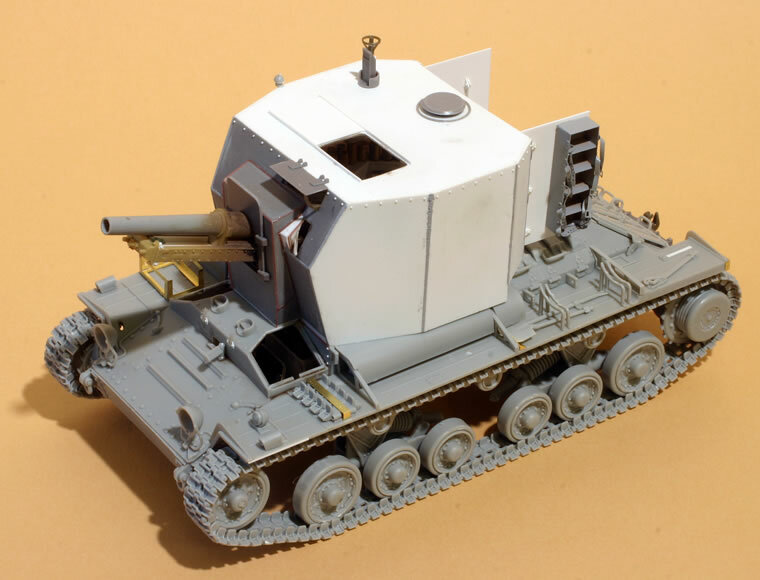 Fortunately, the turret is fairly simple in shape, so I scratch-built another one out of sheet plastic. I used the Dragon/Alan kit for interior bits. (I wouldn’t be entirely surprised to see a Bishop from Miniart, but this project was quite fun anyways). 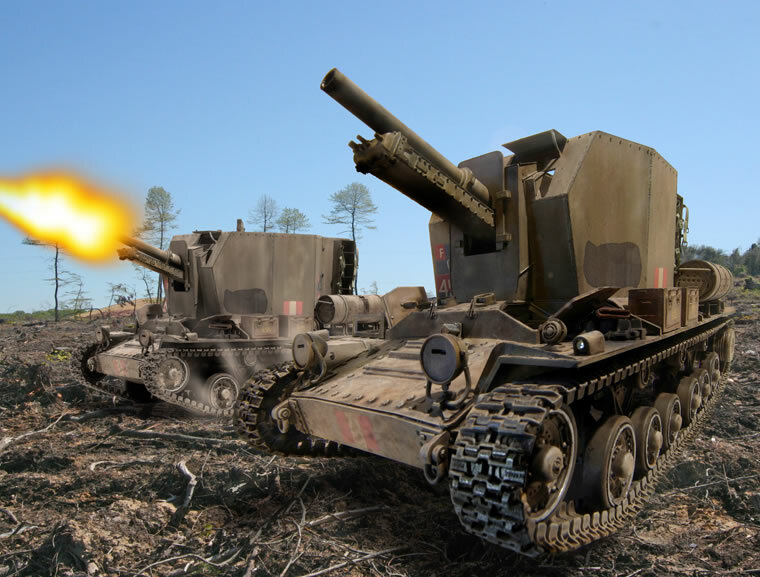 To add a little interest to the model, I decided to depict it with a 25 pdr. 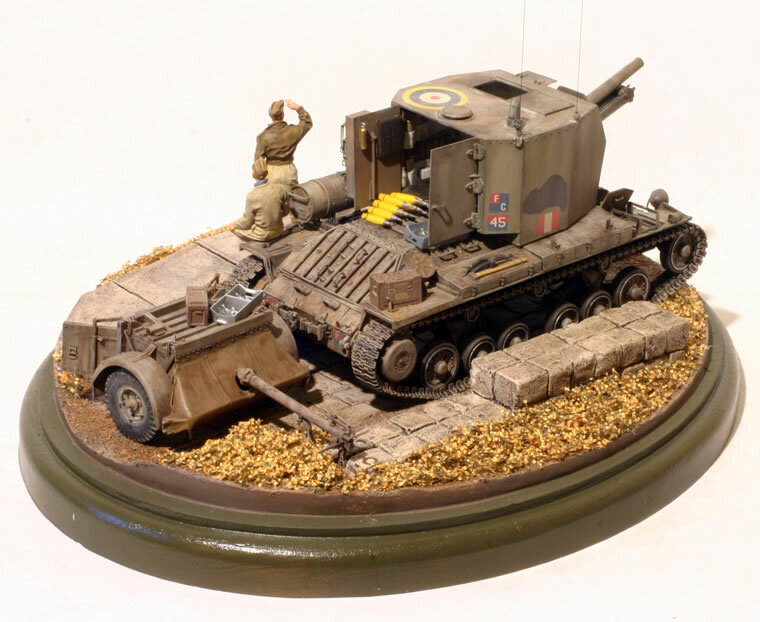 Limber, based on the old and simple Tamiya kit. This took a fair amount of work. 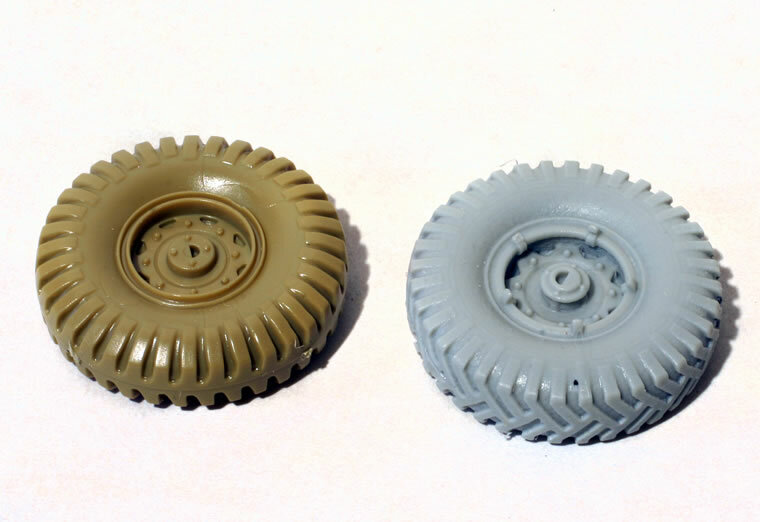 Michael at Air Connections was kind enough to send me an early sample of the new Hussar 25 pdr resin wheels, and these really help to bring the limber up a notch in detail. 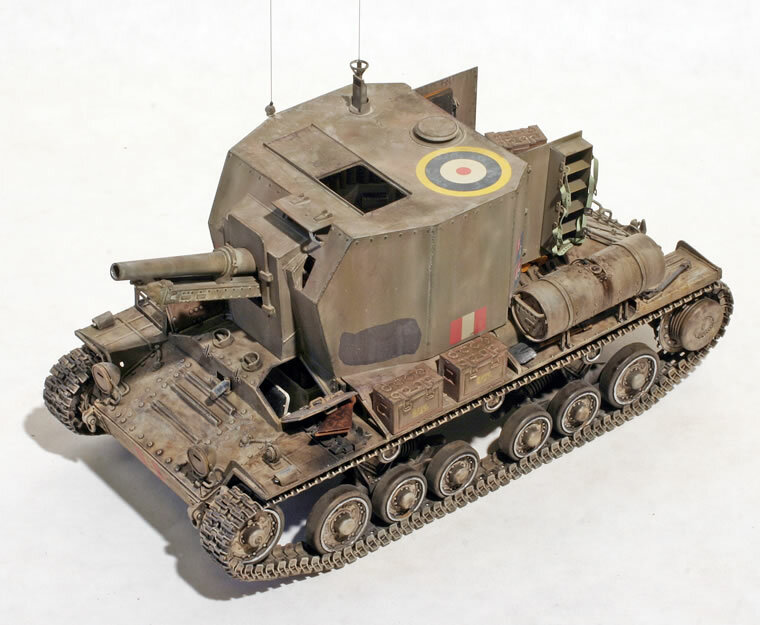 I used the Tamiya kit for the 25 pdr as well because the detail is a bit better than the Alan kit. 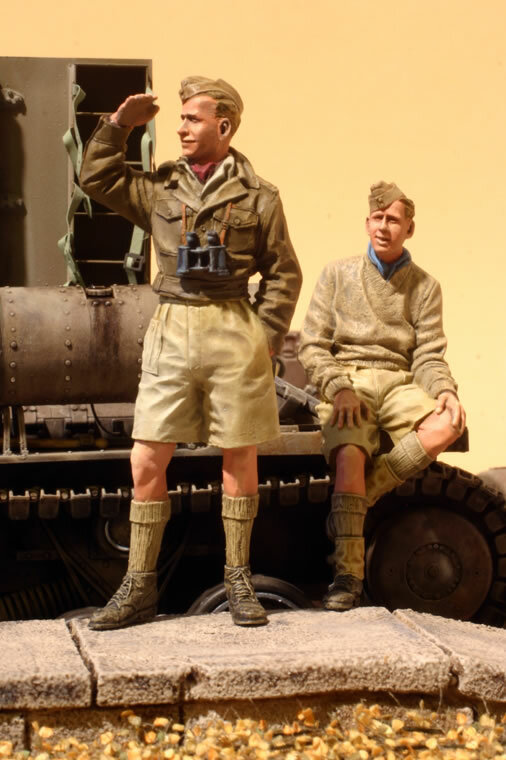 I chose to do my model in overall the SCC 2 scheme from the 149 Regiment in Italy in late 1943. The base is from Monroe Perdu, while the figures are from Alpine. I’ll be covering this project in more detail in Military Modelling, along with an accompanying historical article on the Bishop by Peter Brown.